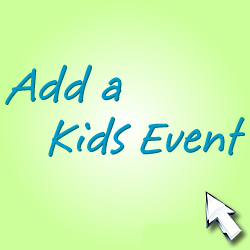 Alaska Family festival organizers and Alaska Kids Expo operators – add a Alaska Kids Event to the USA national Kids Event Guide directory. This guide is the ideal place to advertise your annual and upcoming Alaska Kids Events. We focus primarily on large Alaska Kids Events & Family Events such as Festivals, Fairs, Expos, Bazaars, and more. Alaska Entertainers and Alaska Event Vendors – don’t miss out on being featured in our huge Kids Party Resource. All Events in the Kids Event Guide promote the Entertainers and Event Rental companies listed in the Kids Party Resource Network.